Do you remember when you were a kid in school, and they’d hand you a list of books you should read over the summer? I know a good percentage of you threw that list in the trash can in favor of swimsuits and skinned knees. But then again, a good percentage of you crossed a few off the list on your family road trip to Disney. Fast forward to 2017: we’re inundated with online, “snackable” content curated for us. We’re reading one pixel at a time, all day long. Offline reading has become a quiet, seldom retreat for today’s business person. I get it, you’re thinking to yourself, who has time to read books these days? I will tell you who: thought leaders, go-getters and people that make things happen. Want to join them? Technology has made it easier for you: listen on Audible or scroll through your Kindle Fire. Or, gasp!, read an actual book during that well-deserved beach vacation. Don’t know what you should be reading? When I’m in search of book recommendations on a particular subject, I ask the experts. 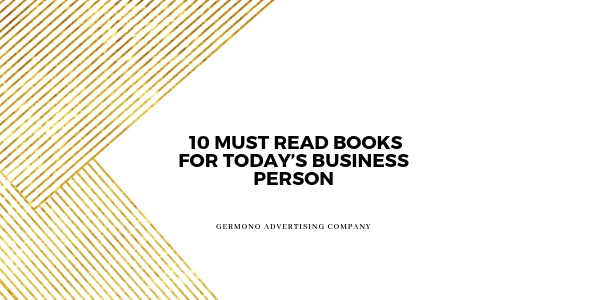 Some members of the Milspo Project have been kind enough to recommend this “Must Read” list for those in business. These military spouses are lady-bosses, family ringleaders, and still, they make time for a good read. So check out the list below and report back to us with your takeaways!